Swainson was an explorer, malacologist, conchologist, entomologist, and also an illustrator. Accompanying the explorer Henry Koster to Brazil in 1816, he collected over 1,200 species of plants and 20,000 insects. Incidentally the Google Doodle contains an illustration of a Hummingbird, the name of Google’s recent algorithm update. 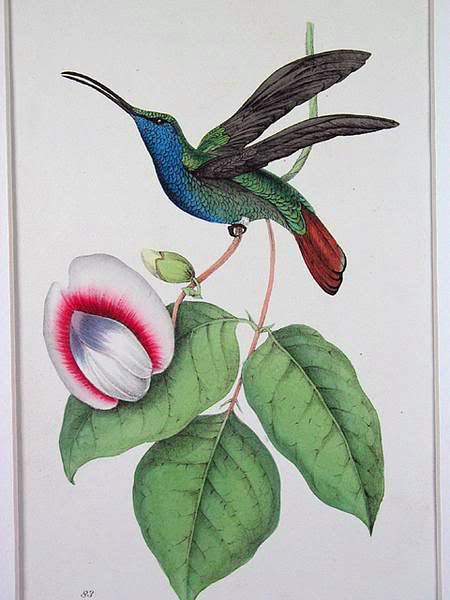 The illustration is adapted from Swainson’s 1820 lithograph of a Hummingbird, displayed to the right (click to enlarge). Visually similar versions have surfaced recently in illustrations on posts discussing the Hummingbird update and Google’s 15th anniversary. You can view the doodle on the Google homepage today in the UK.